Tennis Majors always bring excitement; always with a package of surprises, controversies, disappointments, theatrics, stories and performances that will become historical highlights. The ongoing US Open 2012 is no exception. First came the disappointment that world’s No.2 Rafa Nadal is out with injury. To me, the absence of one major character takes out some luster of the tournament. On the other hand, a great promise loomed as the “greatest who has returned", Roger Federer, further takes another great step in cementing this crown. Or will it be Andy Murray’s time to finally bag his elusive major crown following his Olympic victory? On the distaff side, Serena looks supreme and has resumed her winning ways and habit of collecting records. Only Sharapova I think could stand in her way but only if, my Maria would be consistent in her top fighting form. But the greatest drama that unfolded was provided by two past champions announcing their retirement. Like previous tennis greats, the US Open, being the last in the calendar of the majors, is always reserved for retirement ceremonies. Yesterday, after losing her 2nd round match against upcoming British teen Laura Robson in a close 2- set heartbreaker decided by tie breakers, Kim Clijsters finally called it quits. Age, motherhood, and all, the 29 year old Belgian finally bid adieu the 2nd time around to the sport she loved most. The first time she called bye bye in 2007 to give birth to her child, she came back in 2009 and won that year’s US Open. That was a spectacular win, surprising everyone considering that she had only few tune up games prior to the tourney. She even defended it the next year. This time though, it will be a final goodbye. Kim was on top of women’s tennis in the last decade along with fellow Belgian Justine Henin, the Williams sisters, and Maria Sharapova. Her matches against these great rivals were always worth my time. She was a 4- time grand slam champion. Early on in her tennis fame, her popularity somehow rose with her publicized love affair with the then equally popular and top men’s tennis player, Australian Leyton Hewitt. The press called her Aussie Kim, a tag she perhaps also loved, especially when sitting and cheering in Hewitt's box. But she married someone else and later proved to all that motherhood is not a hindrance to becoming a champion. She was the first mother to become a grand slam champion since 1980. We will surely miss her. I will miss her competitiveness, her grit, and fighting heart. Her most enduring image to me were her “splits” when retrieving deep baselines shots as no one else in the tennis circuit can do. Merci Kim. And good luck to your next journey. 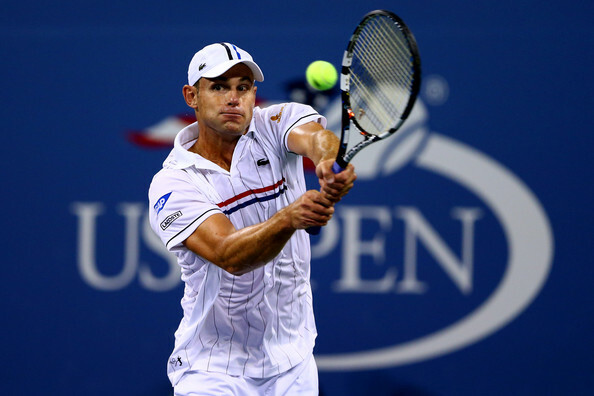 Andy Roddick came next in announcing he is done for good in tennis. He too was once my idol. Fast, furious, he with that power and booming serves. He was on the rise in the early 2000, winning his first and only grand slam tournament, the US Open in 2003. That year, he was also rated world No. 1. It was bright note to American tennis. It came at a time when Pete Sampras and in a way, Andrei Agassi were already closing on in their careers. Roddick therefore became their heir to carry the hopes of American tennis. Sadly, he came short of that billing. He stayed among the top 5 and for years lingered on that spot. Unfortunately for him, another greater Swiss maestro named Roger Federer was on the rise and set to dominate the field. They fought in the 2006 US Open finals just as Federer was starting to collect US Open titles. Thrice, they played in the Wimbledon finals. All these times, Federer simply outclassed him. Their last meeting in 2009 Wimby was a classic 5- set marathon thriller. Roger won, 16-14. In this time too, 2 other outstanding players came, Rafael Nadal and Novak Djokovic. Andy drifted and stayed in the top 10 and soon after, outside of that exclusive club. He could hardly advance even to the quarters. He realized it was time to go. There was no other way as he said he did not want to be a mere passenger in this journey. So now, he is saying goodbye to tennis with no apparent heir to carry the torch of American men's tennis. God job Andy. Now you can finally take off that trademark hat to your loyal and favorite Flushing Meadow crowd. Take a bow!